From an embossed or debossed logo, to a completely unique bottle design, Chandler can provide ample opportunity for you to create a distinctive bottle for your brand. Choose an existing bottle form and add your company logo, brand name or signature as an embossed element. Some logo designs can also be debossed. Mould set up costs are minimal, however a minimum order quantity of 200,000 units does apply. 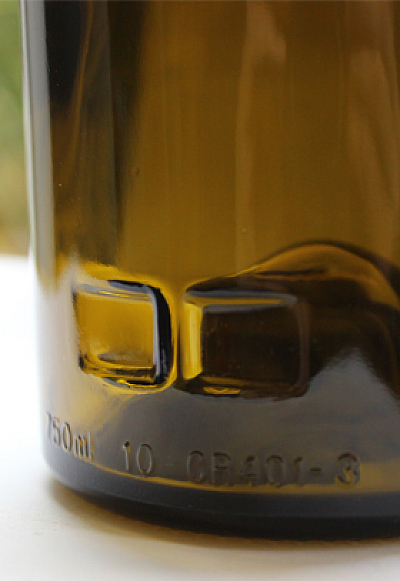 Embossing is a raised design element on the bottle, sitting proud of the bottle's exterior wall. De-bossing is an element that is recessed in the glass wall. 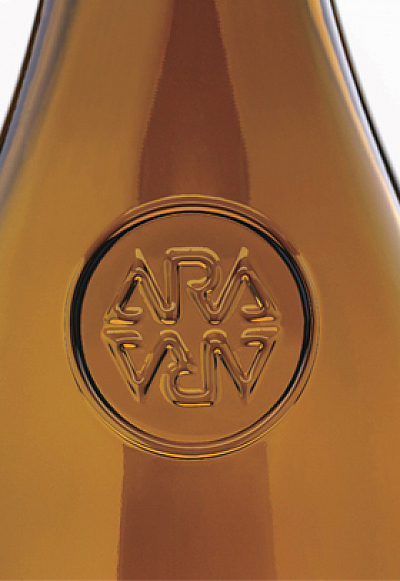 An embossed or de-bossed element separates your wine from the mass of competitors, ensuring your brand stands out. These types of embellishments are particularly well regarded in North American and Asian markets, so are often used on exported wine bottles. Embossing and de-bossing gives the customer the sense that they are drinking wine from an established and reputable producer. Bottle embossing or de-bossing has never been so easy and inexpensive as it is with Chandler. Today, in most cases, we can add your brand logo, crest or signature as an embossed or debossed element to an existing mould shape for minimal cost. For French Green, Antique, Dark Green or Flint coloured bottles we produce an MOQ of around 300,000 units, which you can draw from as required (delivery minimums do apply). We can provide fully decorated bottles using silk screen printing. These decorations can be in the form of full wrap printing on the bottle body, or on a single face to emulate a standard label. We can arrange to silk screen your bottle of choice with full wrap designs of up to 5 colours. These are baked on and become part of the glass, making them scratch resistant. Setup costs are minimal, however a minimum order quantity does apply. 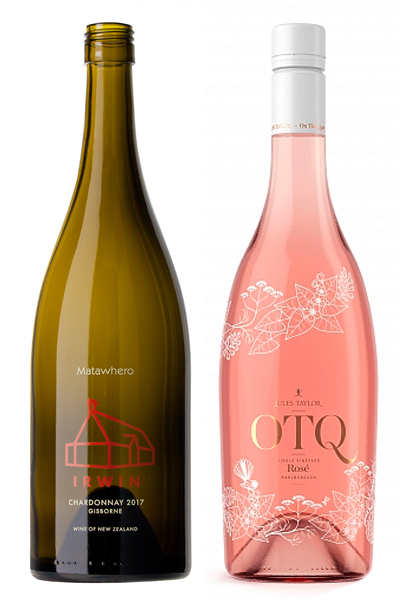 For wine bottles selected from our range, the MOQ for silk screen printing is around 20,000 units. For soft drink or spirit bottles, the MOQ may vary considerably. The ultimate in customisation. Create a unique bottle design to fit your brand image. With over 30 years experience in the wine & beverage industry, Chandler can guide you through the process to create unique glass packaging that is functional, aesthetic, economic, practical for handling and performs to your expectations, always. We are one of the few companies in Australasia that can provide a comprehensive range of services focusing on bottle performance and design. We can recommend various closure options and determine what bottling, capping and labeling equipment may be required to be installed or altered. We can also adapt bottle mouth finishes to suit almost any type of closure. Chandler can work with your own creations or you can work with our affiliated enterprise, Grenache Bottle Design, to workshop, develop and design a unique glass package that is truly yours. Mould establishment costs do apply. For Crystal glass, High Flint and Extra Flint, the MOQ is 50,000 units. 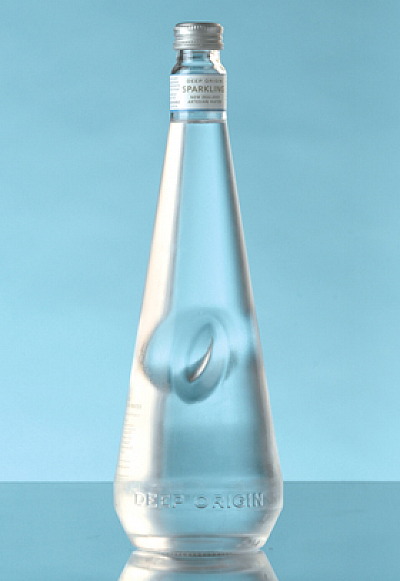 Designing a unique bottle involves the development of a new bottle mould. Prices of a new mould vary depending on your annual demand and run size. Mould establishment costs for a wine bottle can range between USD 7,000 for an embossed or de-bossed brand element on an existing bottle form, and up to USD 20,000, depending on final design, for a completely new bottle shape with or without personalised embellishments. Soft drink, RTD and Beer bottle mould costs range from USD 5,000 to USD 18,000. The quantity of bottles required and run size will determine which supplier and therefore manufacturing equipment is to be used. The quantity of mould sets varies considerably between factories and glass blowing equipment. Spirit bottle mould establishment costs can range between USD 4,000 and USD 18,000. The quantity of bottles required and run size determines which supplier and therefore manufacturing equipment is to be used. The quantity of mould sets varies considerably between factories and glass blowing equipment. 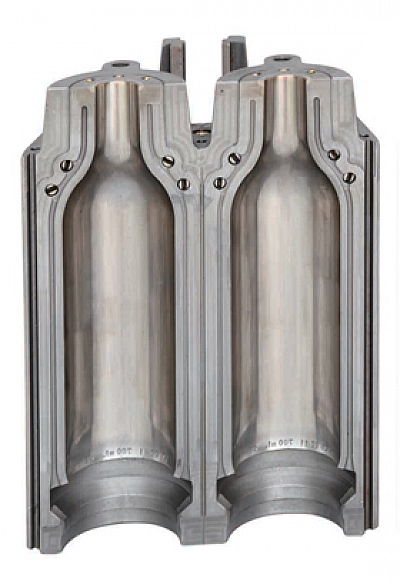 A location device is only required for bottles that require a body label to be registered in a specific position — usually under an embossed or de-boss design element. This device is permanently incorporated in the bottle moulds and is usually positioned low on the rear panel or on the rear heel / base of the bottle. On the rear panel, it can be a cleft or a raised lug. On the base it can be a notch / keyway or a punt lug. The selected device is determined by your labelling equipment and its capability to physically locate bottles on a particular device type. Many bottling lines can now detect the emboss element by electronic sensor, avoiding the need to add any location device on the bottle. All our wine bottles typically require zero or minimal bottling line adjustments.